Have you ever thought about giving wheatgrass to your pet? Mine love the taste of it! It’s great combined with E3Live’s E3 Canine fresh-frozen. The rich chlorophyll content of both wheatgrass and E3 Canine will help freshen your pet’s breath and offer a powerful nutritional boost to their diet. Other household pets also love to nibble the grass! We know from speaking with Tom Stem, the owner of DynamicGreens, that the wheatgrass is field grown and the juice is vacuum packed, flash frozen and unpasteurized. This combination is unique to DynamicGreens and we are convinced that this is why it has none of the bitterness—just a fresh delicious taste. We really like the integrity of the people behind DynamicGreens, they are a great company with great people. We support them in their mission and we know that this is the best wheatgrass we’ve ever had! 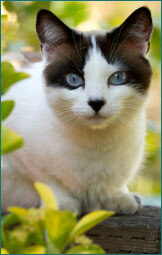 Superior Nutrition for Kittens & Adult Cats! Optimal nutrition is a key element in the health of your cat and may encourage shiny lustrous coat, healthy skin, strengthened immune system and more. Unfortunately, our cats may not get these important nutrients from the foods we feed them. 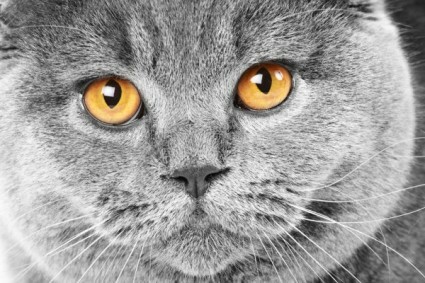 Even the best diets may not provide your cat the pure high quality nutrition found in E3 Feline. E3 Feline is 100% Certified Organic AFA (Aphanizomenon flos-aquae), a wild harvested nutrient dense aquabotanical (edible microalgae). By adding E3 Feline to your cat’s daily diet, your cat may receive gram for gram one of the highest protein and trace mineral concentrations of any natural food. E3 Feline is easily absorbed and may support coat, joints, and general health by providing over 65 vitamins, minerals, amino acids and essential fatty acids. No additives, no pesticides and no preservatives. Enhanced energy, vitality and endurance – great for older cats! E3 Feline is available in Fresh Frozen or easy to use Powder. 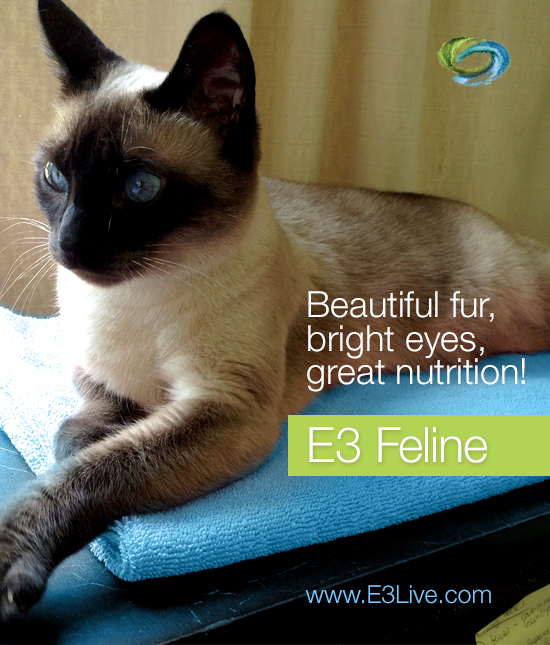 E3 Feline AFA Fresh Frozen Superfood is a liquid – the most potent and powerful form of AFA. E3Live is the only company to offer AFA in this fresh frozen form for pets! Not everyone is a cat person. 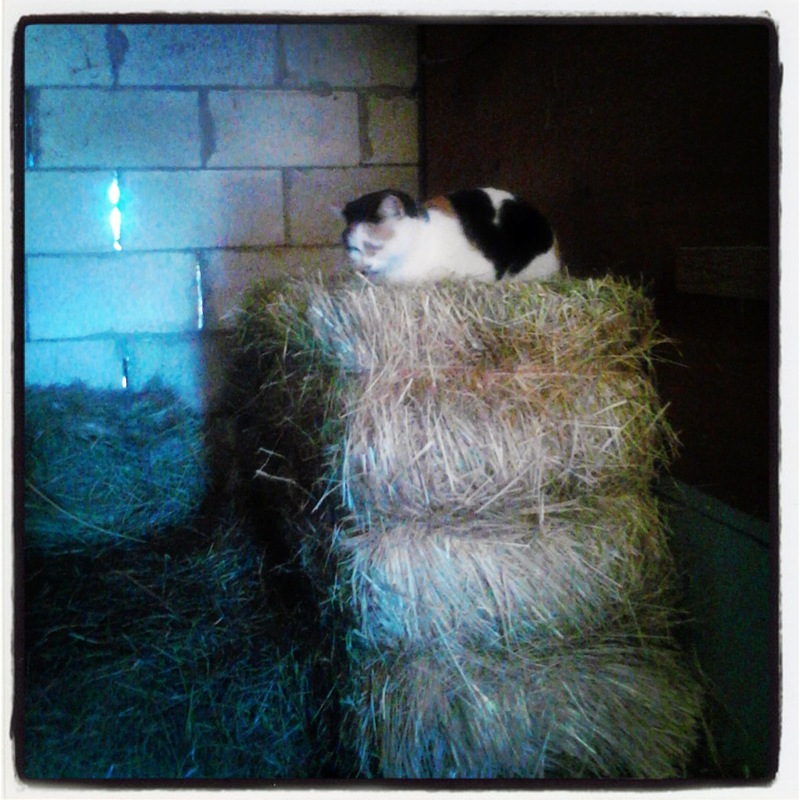 It takes a special personality to be owned by a demanding four legged critter. They are more independent than dogs and claim everything in your home as theirs. Cats are amazing creatures though, and I’ve learned some valuable lessons from mine over the years. Being Playful – Cats are incredibly curious and playful creatures. They will stalk and chase everything from a bug to a shadow on the wall. Laughing and having fun releases feel good endorphins to boost your mood. Join your cat for a game of chase-the-string when you come home from work. And don’t forget to find some fun activities of your own. Showing your appreciation – Most cats are very affectionate. In return for your devoted care to them they shower you with rubs and purring. Some sit on your lap, others rub your ankles. No matter how your cat expresses it they show you appreciation for being a part of their life. Petting your cat can lower your stress and blood pressure levels, so indulge often. Also remember to take the lesson into your daily life. Don’t be too busy to appreciate what you have. Hey, Relax! 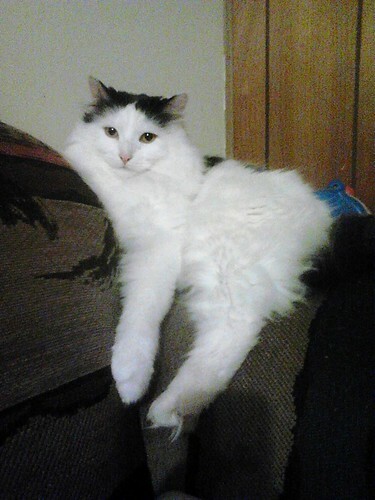 – Cats are the masters of relaxation. A nice sunny or soft spot can give them hours of grooming and sleeping. While most of us can’t spend hours taking a nap, we can find more ways to relax. Stress isn’t good for your health and finding a hobby or taking a walk can help manage it. You may consider taking up yoga or meditation. Just keep in mind you can’t be as productive in your daily life if your stress levels are maxed out. 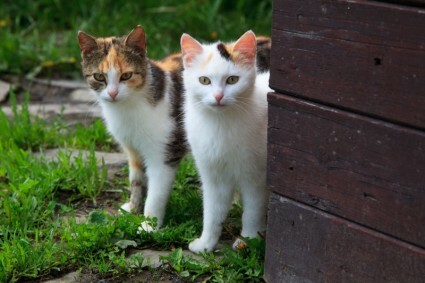 Stand your ground – Cats are territorial. They own their surroundings and do not like them to be changed or invaded. They also get very offended if you expect them to do something they don’t like or isn’t natural (bath anyone?). Take notes. While you can’t argue about everything in life you should always stand up for yourself and be clear with what is right and wrong for you. Don’t let people push you around to make themselves feel better. Respect yourself – A cat spends a good portion of their time grooming themselves and seeing to their needs. In fact, many cats are simply selfish and we love them for it anyway. Just keep in mind you need to respect yourself; eat right, exercise, and make sure you are high on your own priority list. Being happy in life is priceless and respecting yourself is the key to that. When you respect yourself other people will notice and respect you in return. What lessons have you learned from your feline friend?